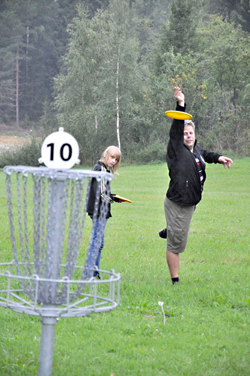 Frisbee Golf also called Discgolf is a relatively new sport, which people practice worldwide. 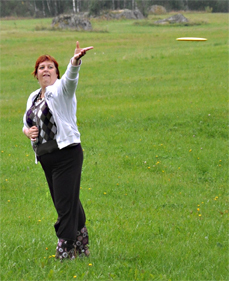 Playing frisbee is known about playing on the beach and during leisure times as spending time off. 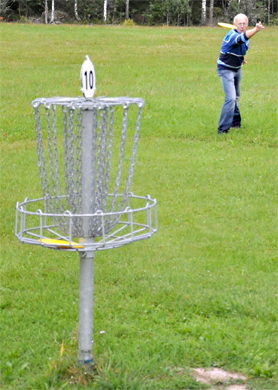 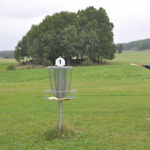 Frisbee Golf can be played individually or in a team. 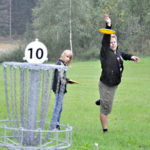 Aspects are speed, tactics, athletics, skills and ofcourse FUN! 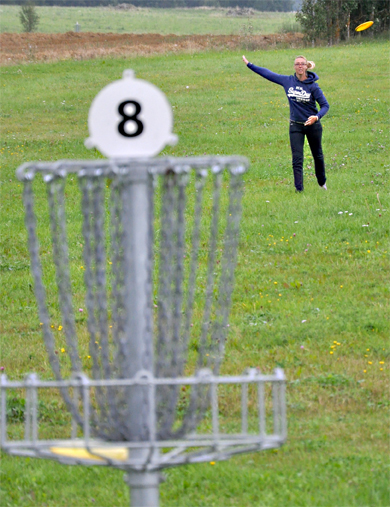 These are the elements where it is all about. 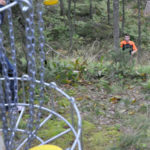 It is fun for everybody and you spend a good time in the outdoors. 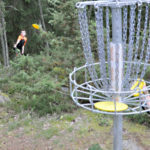 Frisbee Golf is played on terrains, where you throw the Frisbee in the target, called the “Pole-hole”. 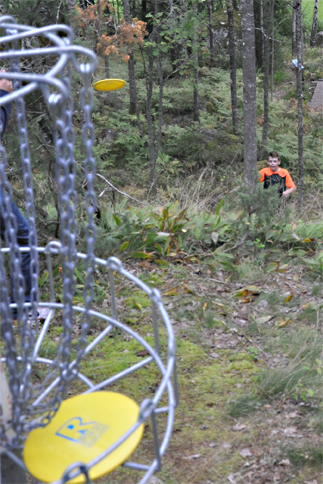 This is a basket with steel chains, where the Frisbee has to end up and falls down into the basket. 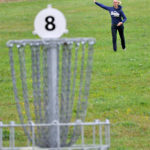 Most important of all with Frisbee Golf is the Spirit of the Game. 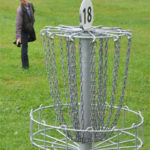 This means that the players play fair and with respect to each other. 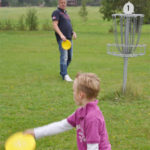 For this reason, a referee is not needed because the players will solve issues themselves. 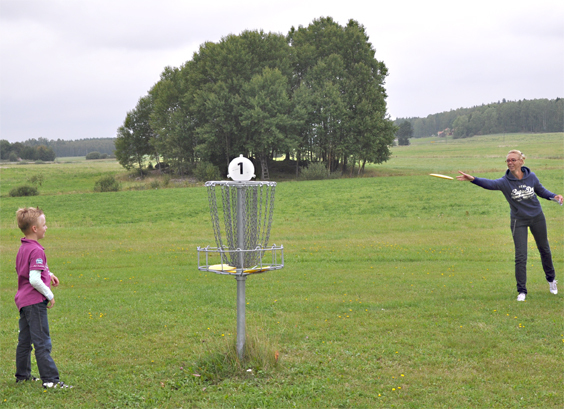 The 18 hole course on “Granns Gård” is build professionally and it can be played in summer and winter. 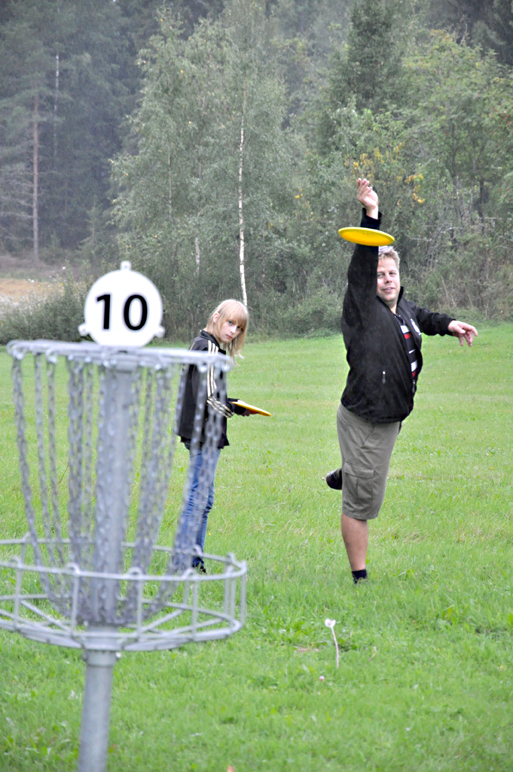 Your host is Niklas Widegren. 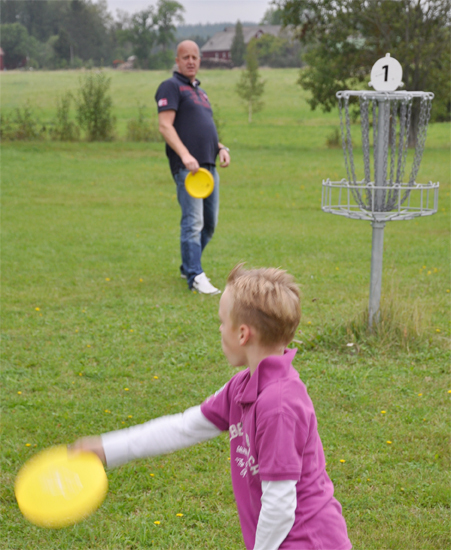 Start introduction: 350,- SEK (takes ½ hour). 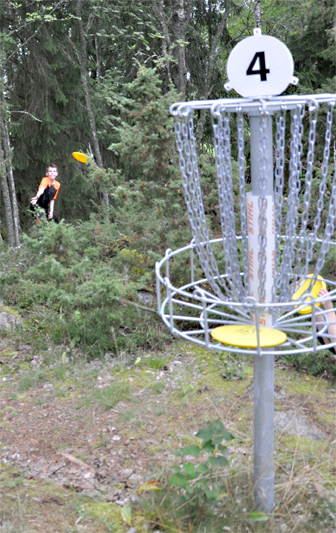 Beverages like ice cream and soda can you buy on the Frisbee Golf course. 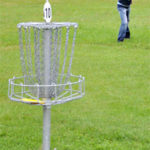 Please contact us if you want to play Frisbee Golf. 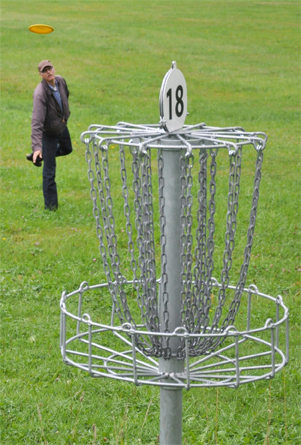 We do contact first the Frisfbee Golf course for you.